Rygel 0.5.2 (Crackers Don't Matter) is out! 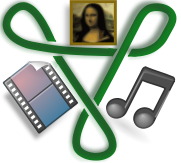 - Add support for Xbox 360 and Window Media Player 11. - Add support for subtitles. Currently only useful for certain Samsung DLNA TVs. 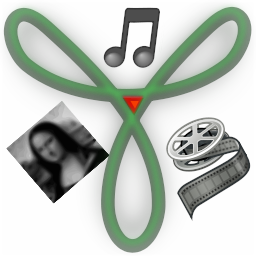 - Add Windows Media Video (WMV) transcoder. - Add unit tests for a few modules. - Make database operations cancellable. - Throw error on database creation failure. - Simpler (hopefully) build rules. before all the bytes are sent to the client. - Fix leaking of HTTP messages of live streams on termination. - Fix 'Content-Length' header values for partial requests. - Include spec version in description document. - Remove now unneeded work-around for vala bug#568972. - Advertize photos with their specific class, i-e 'photo' rather than 'image'. - Implement search by URIs. - Implement search by album. - Error-out on invalid search expression. - Fix deletion of containers. - Catch previously uncaught exceptions. - Fix upgrade of database from older schemas. - Lots of code clean-ups and documentation fixes. - Require gupnp >= 0.13.3. - Require gupnp-av >= 0.5.5. - Require gupnp-vala >= 0.6.5. - Require valac >= 0.8.0. - Provide gobject-introspection GIR and typelib. - Use silent build rules. - Fix issues with version-independence magic in SSDP code. - Fix build issues in jhbuild environment. CTT test cases 7.2.5.9 and 7.2.29.1. - Use g_message instead of g_warning if we can't connect to DBus. - Make the HTTP server listen on the context's interface only. - Fix some potential crashes in GUPnPServiceProxy and GUPnPContextManager code. - Fix some gcc warnings. - Add new API to host path for specific user-agent(s). - Add needed annotations to doc comments. - Add GList variants of action-related functions to satisfy PyGI. - A few non-functional improvments. - Provide microseconds in 'duration' to satisfy XBox.